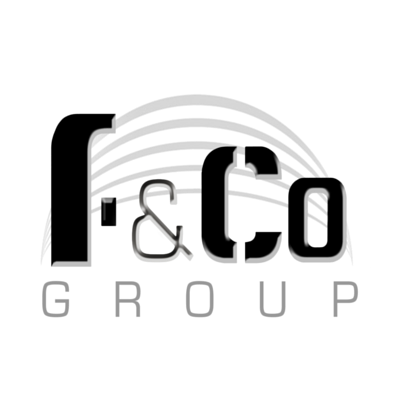 It is the Foster and Co Group’s Client focus that put us in a different league to other Building Contractors. Our Office is a hub of organisation and our detailed Client Packs which include comprehensive work schedules and clear, easy to follow payment plans create a user friendly process that we have been commended on by our previous customers. To see our examples, please have a look through our document gallery. 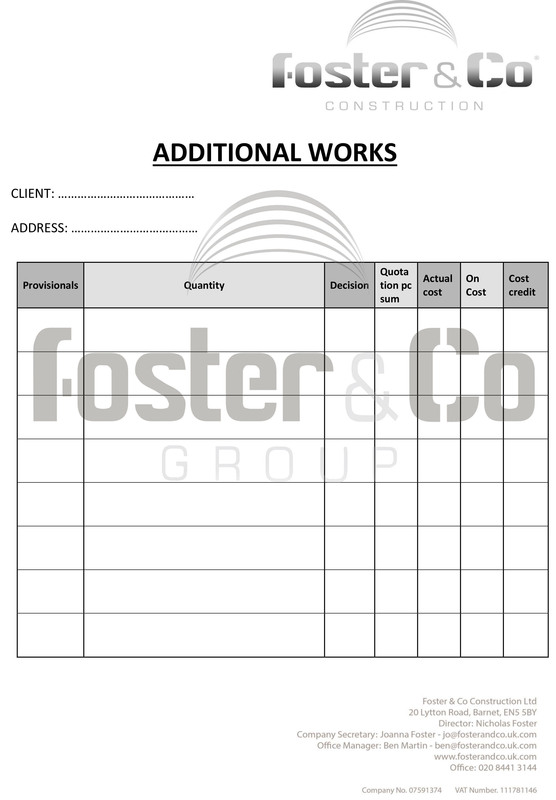 Our Work Schedules work in conjunction with our payment plans allowing our clients to track their project and be aware when payments are due in advance. This is completely user friendly and is designed for any client to easy understand. 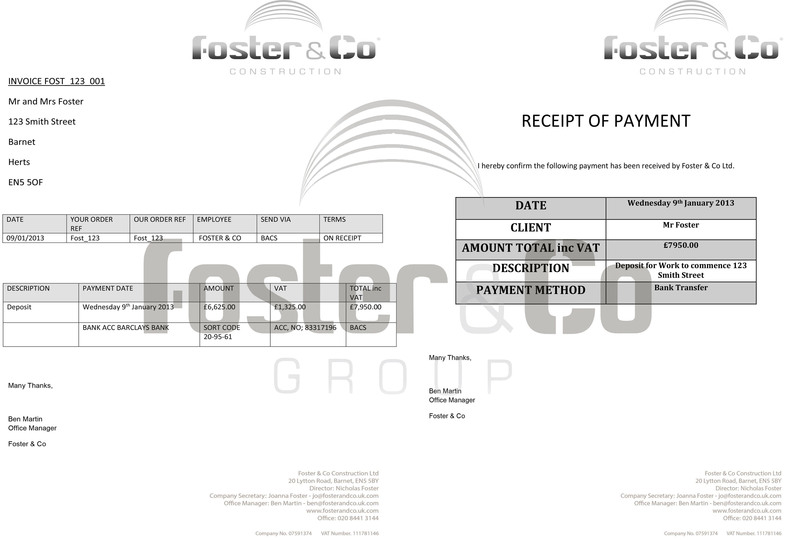 To make sure all of our client’s payments are well managed, we always use clear invoices and follow up payment receipts. 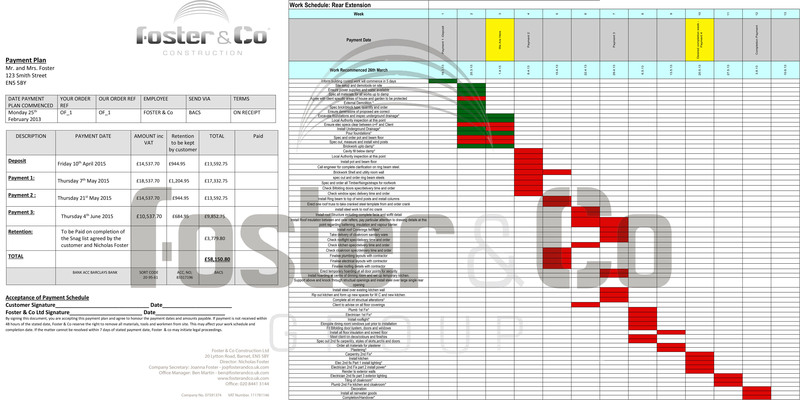 This allows our clients to keep track of the project finances in an organised manner. Our additional work forms mean that there are no surprises when it comes to your build. 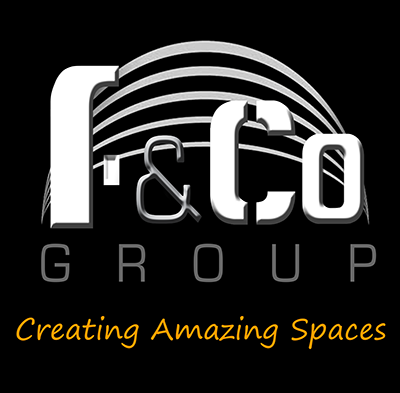 Any extra work you require will be quoted and agreed in an easy to follow format so you are always in control of the project.